What will you be baking for guests this holiday season? While I tend to gravitate towards chocolate desserts, I also enjoy apple pie. 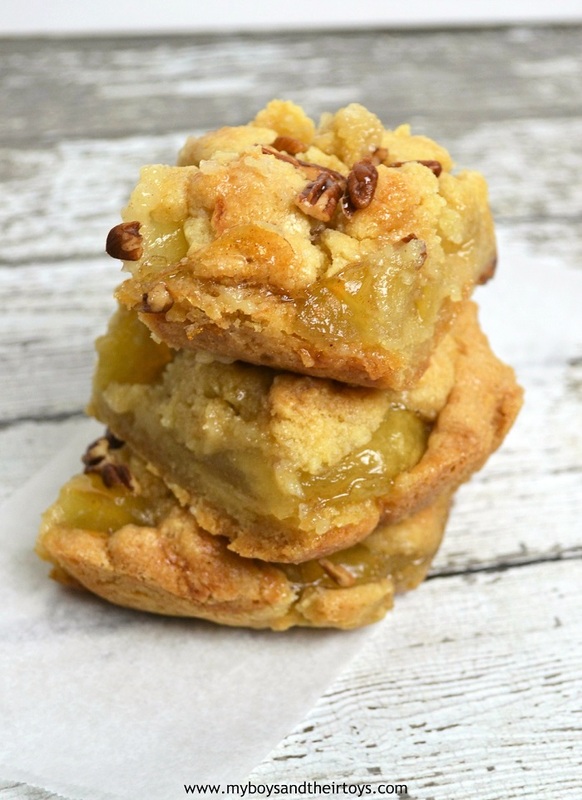 This year I decided to put a twist on a classic favorite – Apple Pie Cookie Bars. Since it is a busy season, I don’t always have a lot of time on my hands. 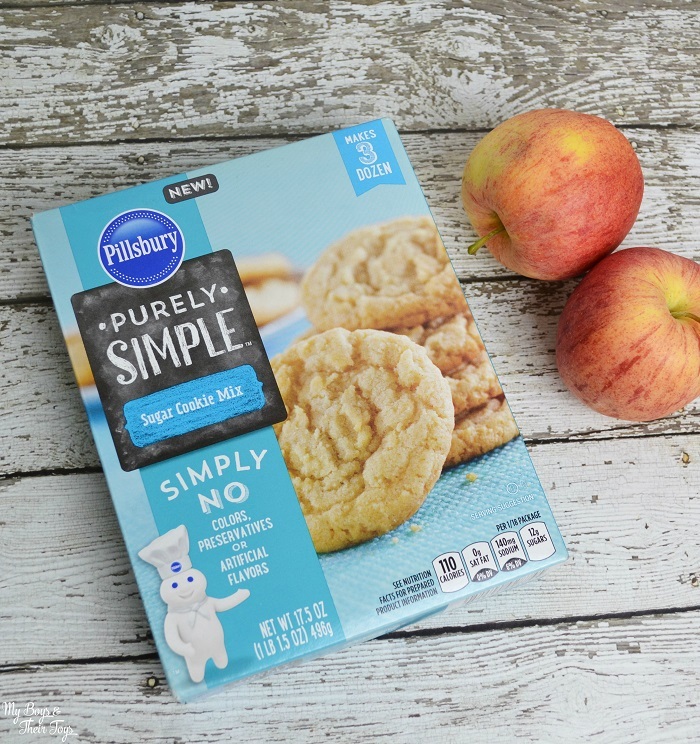 Using products like Pillsbury™ Baking mixes are a great way to simplify recipes and save time in the kitchen. 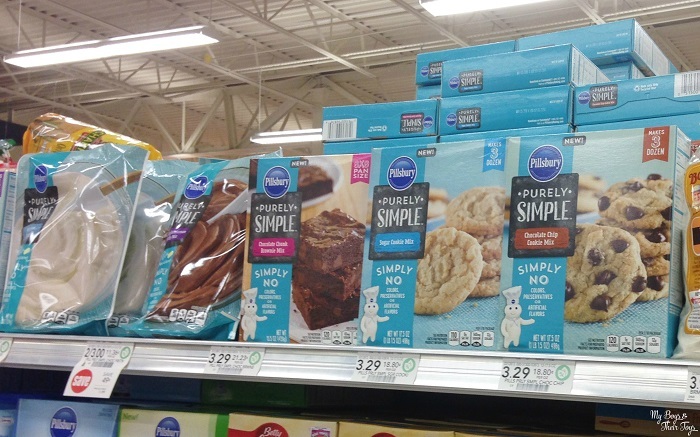 What I really like is their new line of Purely Simple™ products that provide a simple homemade taste without colors, preservatives or artificial flavors. I enjoy baking, especially when the boys chip in. It’s great to pass on special moments like these, don’t you think? Okay…onto that delicious recipe we made! Make cookie mix as directed on the back of the packaging. In a 8×8 inch baking dish, line it with cooking parchment paper. Press cookie mix into the bottom of the pan. Set aside 1/3 of cookie mix. Top with pie filling and crumble remaining cookie mix over top. Bake on 350 degrees for 30 minutes. Carefully remove dish from the oven and add chopped pecans. Bake for an additional 10-15 minutes, or until edge is bubbly. Remove from oven and place on a cooling rack for 30 minutes. While the Apple Pie Cookie Bars are cooling, make the caramel drizzle. Microwave caramels in microwavable bowl on High about 1 minute or until melted. Drizzle over cooled bars, and enjoy! Using handy shortcuts like Pillsbury™ Baking mixes and frosting are a great way to make delectable dishes with ease. I found the products at Publix on the baking aisle. Look for them in a grocer near you! For more ideas, tricks and tips visit #TheDessertDebate! Need even more reasons to try this apple dessert? Check out this article on 34 health benefits of apples! Have you ever put a twist on classic dessert? If so, what did you make?